London: printed for T. Egerton,, 1817. A Novel. In Two Volumes. By the Author of "Sense and Sensibility," &c. Third Edition. 2 volumes, duodecimo (179 x 103 mm). Contemporary half calf, twin labels to spines to style, compartments decorated in gilt, marbled sides ruled in gilt. Bound without half-titles or terminal blanks. Early initials faintly inked to title pages. Head of spine of vol. I restored to style, joints neatly repaired, sides a little scuffed, tips furbished, contents slightly foxed, vol. I front hinge cracked but holding (visible at B2), text block sound, puncture to vol. I B8, l. 7-8, vol. II with pale old water stain (mainly marginal) to lower fore-corners of second half of text. An attractive copy withal. Third edition, and the first to be issued in two volumes. Pride and Prejudice was Austen's second published novel. Austen began it in August 1796, when she was the same age as her heroine, and finished in August 1797. Entitled "First Impressions", it was offered by her father to Thomas Cadell on 1 November 1797 as a novel in three volumes "about the length of Miss Burney's Evelina". Cadell declined without asking to see the manuscript. Austen revised it in 1809-10 after the success of Sense and Sensibility, by which time the first choice of title had been used elsewhere. It remains the most popular of her novels. London: printed for T. Egerton,, 1817. A Novel. In Two Volumes. By the Author of "Sense and Sensibility," &c. Third Edition. 2 volumes, duodecimo (176 x 102 mm). Contemporary calf, rebacked, twin red and green calf labels, marbled sides, endpapers and edges. With the bookplates of Henry Edward Chetwynd-Stapylton (1822-1900) and ownership signature to verso of front free endpapers of Ellen Venables, dated 1852. Bound without half-titles though with terminal blank in vol. I. Sides rubbed with a couple of patches of wear, corners worn, some foxing to contents. A very good copy. Third edition, and the first to be issued in two volumes. Pride and Prejudice, first published in 1813, was Austen's second published novel following Sense and Sensibility in 1811. Austen began it in August 1796, when she was the same age as her heroine, and finished in August 1797. Entitled "First Impressions", it was offered by her father to Thomas Cadell on 1 November 1797 as a novel in three volumes "about the length of Miss Burney's Evelina". Cadell declined without asking to see the manuscript. Austen revised it in 1809-10 after the success of Sense and Sensibility, by which time the first choice of title had been used elsewhere. It remains the most popular of her novels. London: George Allen,, 1894. With a Preface by George Saintsbury and illustrations by Hugh Thomson. Octavo (250 x 169 mm). Finely bound by Bayntun (Riviere) in recent full green morocco, tan morocco label to spine lettered gilt, floral decoration to spine gilt, gilt floriate border to front cover, panel with onlaid vignette of Elizabeth Bennet in green, red, and brown morocco, edges and turn-ins gilt, marbled endpapers, edges gilt. Frontispiece with tissue guard, illustrations by Hugh Thomson. Dated binder's note in pencil to verso of front free endpaper. Extremities a trifle rubbed, else a fine, wide-margined copy in a luxurious binding. First fully illustrated edition, one of 250 large paper copies issued in the UK and 25 copies done for the US, with the illustrations specially printed on China paper and laid down. This was the first edition to feature illustrations accompanying the text, as Bentley's 1833 edition and subsequent printings had featured only a frontispiece. Thomson's "light touch and feeling for period manners provide a charming and accessible gloss to the author's work" (ODNB). London: Richard Bentley, 1839. Dark brown-black half-leather with blue-green boards. Spine missing, pages coming loose and brittle from age, but all pages are present with the exception of the bottom half of page 159/160. Owner's signature on title page appears to be from the 19th century as well. Still, a scarce book. Engraved frontis, as well as an illustrated title page. 340 pp.. Hard Cover. Poor. 12mo - over 6¾" - 7¾" tall. London: George Allen, 1894. Hardcover. Good. Hugh Thomson. First edition of the famed 'Peacock Edition' of Austen's novel. Features numerous b/w illustrations, decorated initials and devices by Hugh Thomson, who also designed the elaborate and iconic Peacock on Sundial cover done in gilt on green cloth. The scheme for this edition follows that of Macmillan's 'Cranford series', of which Thomson designed the inaugural volume in 1891. The appearance of these deluxe volumes, frequently at christmas, became minor publishing events and none was to prove as popular and enduring as the Peacock edition. Complete with a preface by George Saintsbury. All edges gilt. Tissue guarded frontispiece. Small 8vo. (185x140mm) [xxvii] 476pp. Repairs/discreet rebacking to top and tail of spine allowing binding to have strengthened, thus volume is tight and square. Instance of light spotting to title page/tissue guard. Mild offsetting/toning due to tissue guard. Very occasional light marking within but overall a particularly clean and prim example. Good/very good. CreateSpace Independent Publishing Platform, 2013. Paperback. Good. Disclaimer:A copy that has been read, but remains in clean condition. All pages are intact, and the cover is intact. The spine may show signs of wear. Pages can include limited notes and highlighting, and the copy can include previous owner inscriptions. At ThriftBooks, our motto is: Read More, Spend Less.Dust jacket quality is not guaranteed. e. p. dutton & co. Hardcover. B000F6H01Q Like New Condition. . Fine. London: J. M. Dent & Co., 1907. Hardcover. Very Good. C. E. Brock. English Idyll edition of Austen novel featuring Charles Brock's watercolor illustrations. Light green cloth with elaborate gilt decoration. Contains the complete 24 illustrations by Brock, his work for this series is widely considered the finest depictions of Austen's novels yet done. Decorated title page. Top edge gilt. Fore-edge rough cut. Decorated endpapers. 8vo. (200x125mm) [xiv] 336pp. Lacking tissue guard from frontispiece. A couple of light errant marks to covers. Mild bumping to top edge. Mild toning to end-papers. Otherwise contents are bright and clean. Binding sound and square. A particularly prim example. Good/very good. Norwalk, Connecticut: Easton Press. 1996. First Edition; First Printing. Hardcover. Fine, Accented in 22kt gold, printed on archival paper with gilded edges, smyth sewing & concealed muslin joints. Bound In full leather with hubbed spines. All 6 volumes Pristine. ; 8vo 8" - 9" tall . White's Books, 2010-06-01. Hardcover. Good. Thorndike Press, 2003-02-02. 1. Hardcover. Used:Good. Pride and Prejudice - a novel. Gresham, London., . First edition thus: introduction by William Keith Leask; illustrated by Chris. Hammond. Octavo. pp xxiv, 392. Six black and white plates. Publishers' de luxe binding of quarter burgundy leather with gilt design by Talwin Morris on spine, cloth sides.Head and tail of spine just a little scuffed. Very good indeed. London:: Robert Riviere & Son,, ca. 1894.. Later edition. Hardcover. 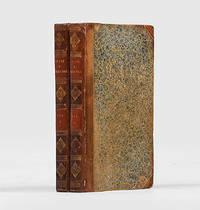 Sixteenmo, just under 7 inches tall, in half dark blue calf, marbled boards and endpapers, top edge gilt. Binding by Riviere & Son. 336 pages with a frontis by William Cubitt Cooke. Note that there is no date in the book, but the publication date is based on the date Cooke illustrated the Novels of Jane Austen. See Houfe, p. 98. Interior is clean, bright and sound but previous owner name on the front pastedown. Spine is evenly faded to an attractive sage green from dark blue. Tips are very lightly worn. Michael O'Mara, 2011-08-21. Elibron Classics series. Hardcover. Used:Good. Norwalk Connecticut: Easton Press. First Edition; First Printing. Hardcover. Fine, Sealed, and Accented in 22kt gold, printed on archival paper with gilded edges, smyth sewing & concealed muslin joints. Bound In full leather with hubbed spines. Pristine; 8vo 8" - 9" tall . Saddleback Pub. PAPERBACK. 1562545299 Item in good condition. Textbooks may not include supplemental items i.e. CDs, access codes etc... . Good. Michael O'Mara. Hardcover. B0078XREBA . New. Michael O'Mara. Hardcover. B0078XREBA Minor shelf wear . Very Good. Michael O'Mara. Hardcover. B0078XREBA Remainder mark . Fine. Michael O'Mara, 2011-08-21. Hardcover. Good. Holt,Rinehart & Winston of Canada Ltd. Used - Good. Ships from the UK. Former Library book. Shows some signs of wear, and may have some markings on the inside. 100% Money Back Guarantee. Your purchase also supports literacy charities. Michael O'Mara. Hardcover. B0078XREBA signs of little wear on the cover. . Very Good. Penguin Books. Hardcover. 0143123165 . New.